The Hot Rod Mop Brush ($15) is designed to put a little something extra into your grilling life. It's designed with unique flame etchings and has a detachable silicone mop end which holds large amounts of sauce. it's made of stainless steel, has a large rubber grip and, for beer drinkers, sports a built-in bottle opener. 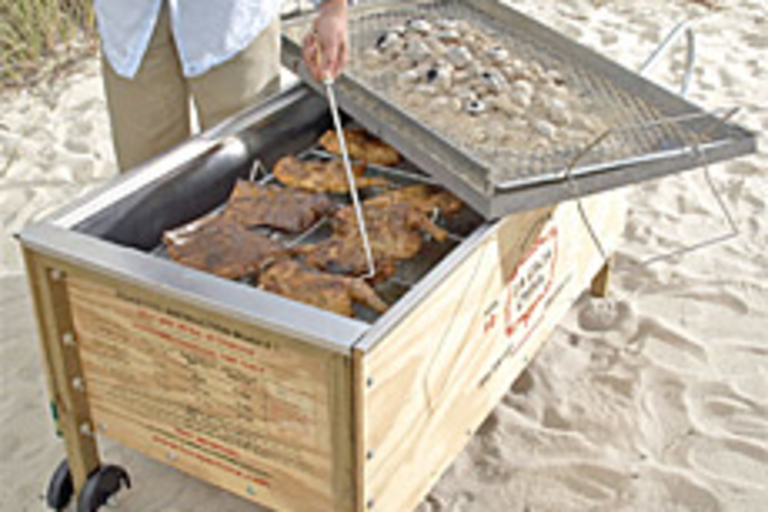 Ditch that $20 portable Wal-Mart BBQ and tailgate it up in style with this Portable Barbecue Pit ($400). 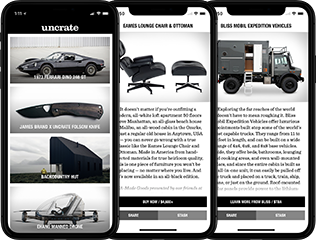 It's basically a wooden barbecue box set with aluminum that's equipped with handles and wheels for moving around (though we don't recommend you tie it to the back of a moving vehicle). 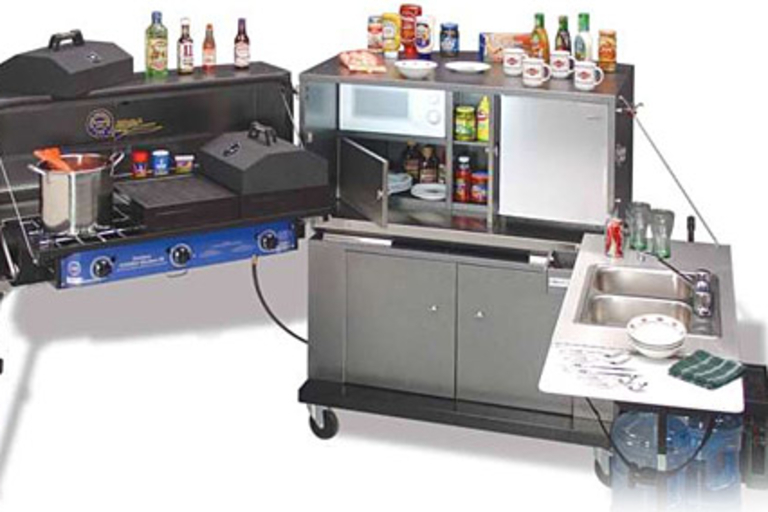 It can roast up to 100 pounds of hamburgers, hot dogs or any other piece of meat in four hours or less. Your grill has to be good when it has a name like this. 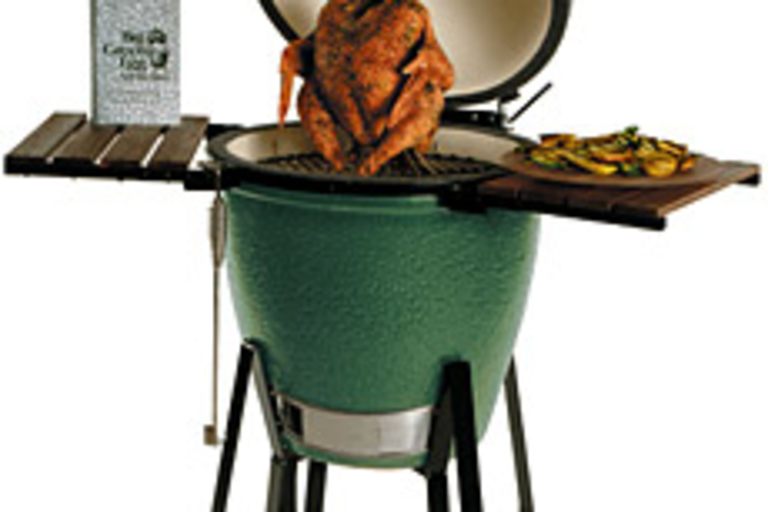 The Big Green Egg ($870) is a high-quality ceramic grill that doubles as a smoker and barbecue. Based on the design of the ancient oriental Kamado cooker, the Big Green Egg will turn virtually any piece of meat or fish into flame-grilled heaven. 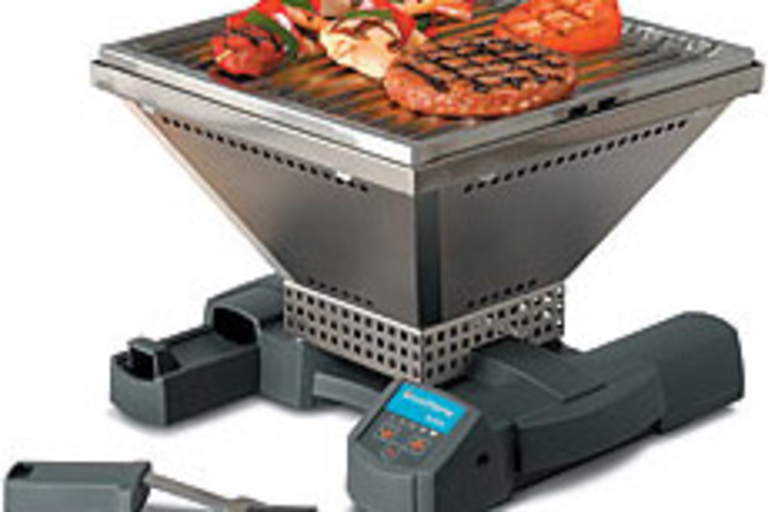 It has an 18-inch grilling surface and can accommodate a 15lb plus turkey. This ultra-portable grill is a real work of art. 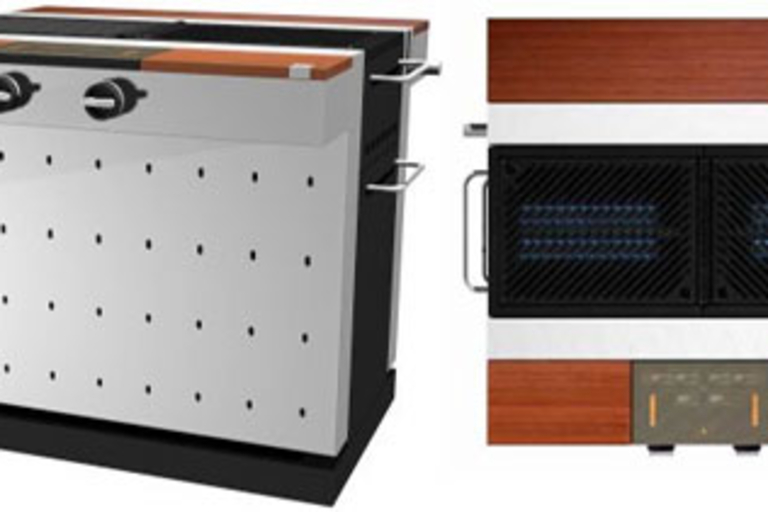 Constructed of porcelain and stainless steel with a wooden base, the Eva Solo Table Grill ($325) will let you bring a little of your modern taste anywhere you want to cook a couple burgers or steaks. 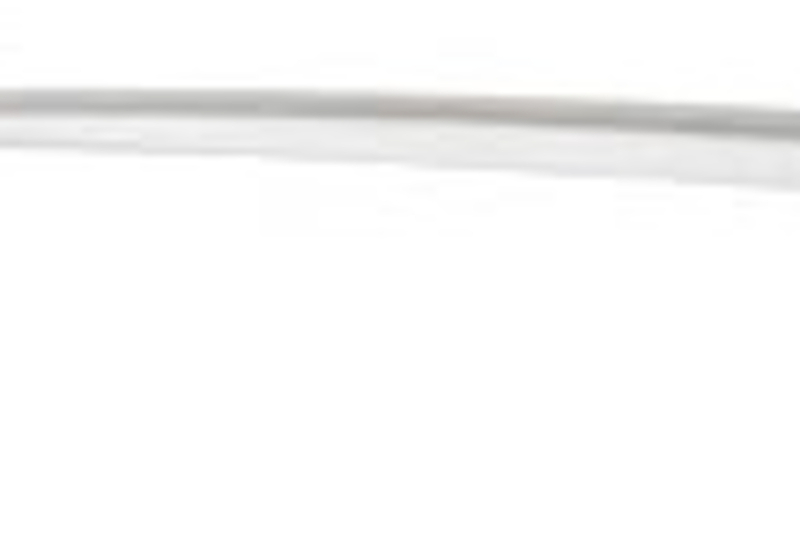 It has a handle for easy toting, and can be cleaned in a dish washer.